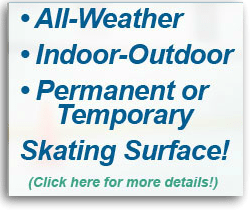 Products Overview | Skate On This! 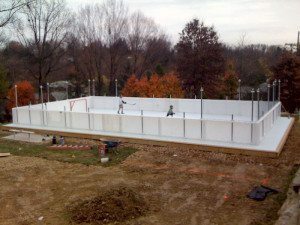 This is a great looking all HDPE plastic system that can be used both in and outdoors. 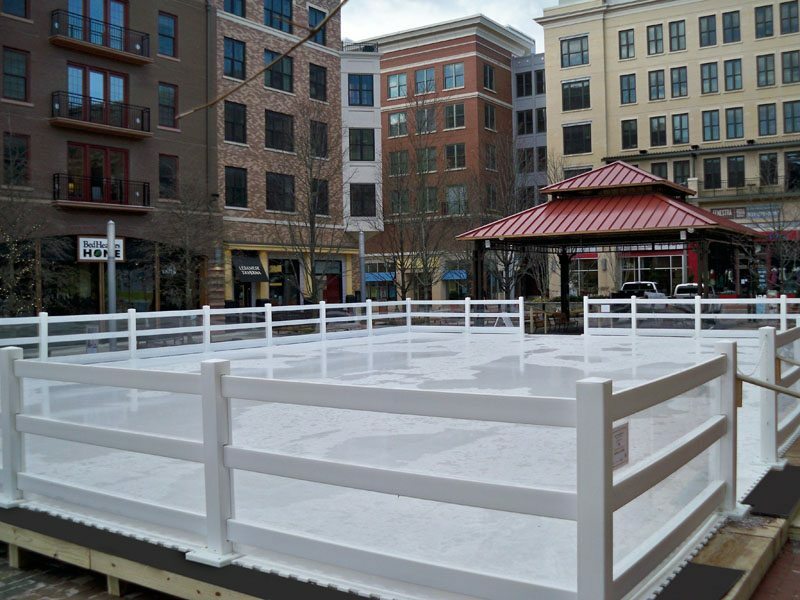 This versatile and economic rail system provides a secure perimeter, while the spacing between the three (3) rails allow for easy visibility from both inside and outside of the rink. 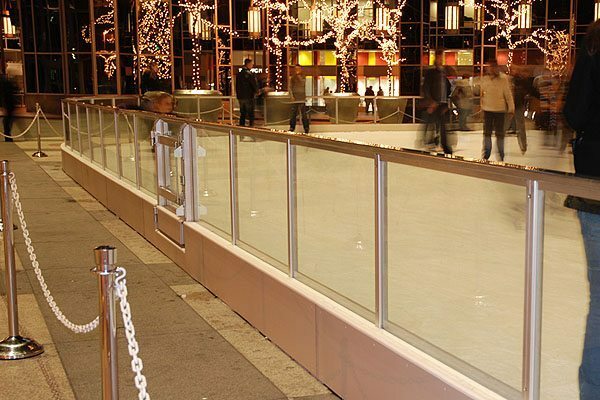 The rail design also makes it easy for children as well as adults to hold onto, for that moments rest or new skater security. The system comes standard with open entrance / exits as shown. 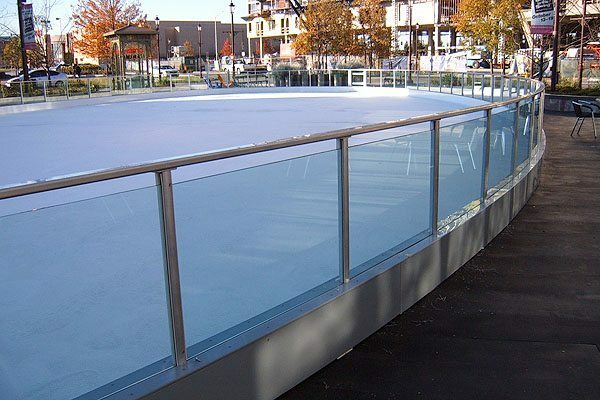 This is a beautiful custom-designed outdoor or indoor recreational board system with clear-tempered glass, 42″ tall with aluminum handrails and a 12″ tall kick rail. In addition to providing a safe perimeter, the skater can use the handrails as a guide or to hold onto for security or rest. 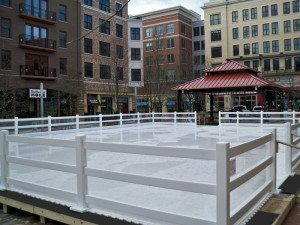 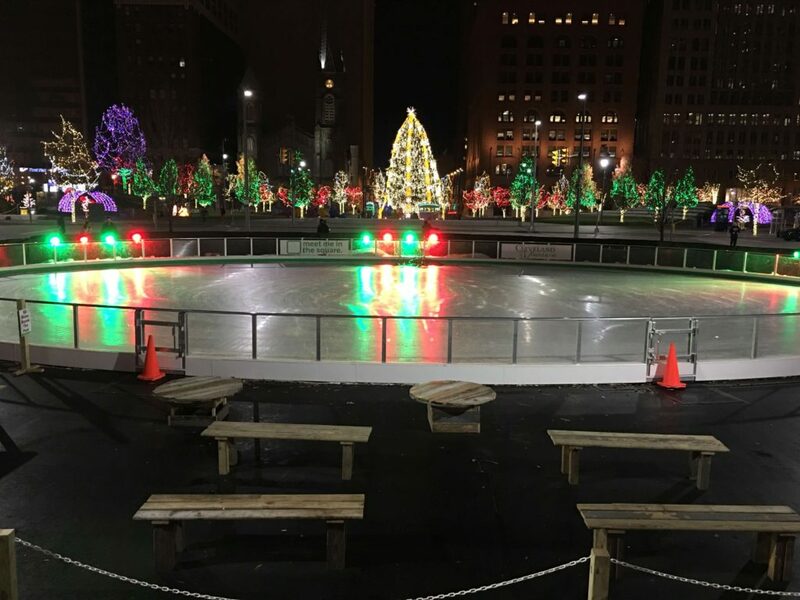 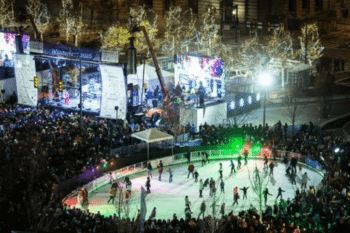 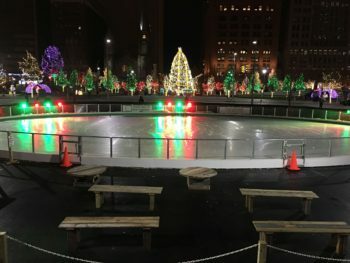 The clear tempered glass allows for an unobstructed view from both inside and outside of the rink, eliminating the sense of being confined and great for parents and children to keep an eye on one another. 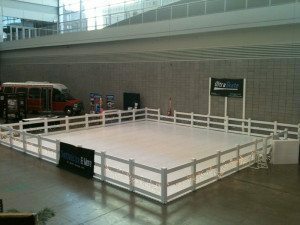 The system comes with (1) 32″ public access gate and (1) 48″ equipment / emergency access gate. The system’s hand rail, frame, and 12” kick rail can be provided in custom colors. 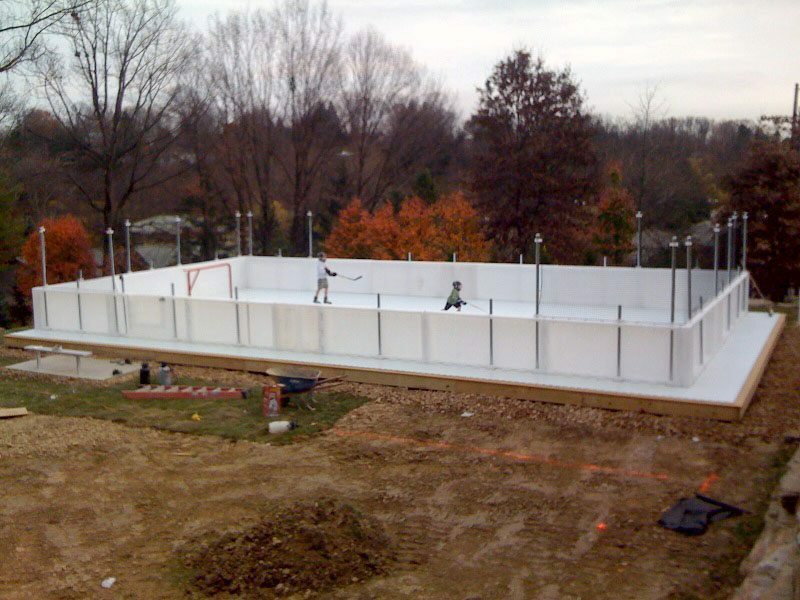 Regulation size dasher board systems complete with glass, netting and padded goals. 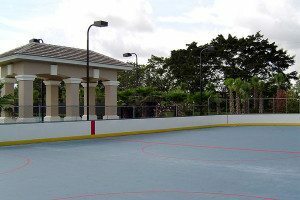 These systems are designed to meet USA Hockey standards and requirements. 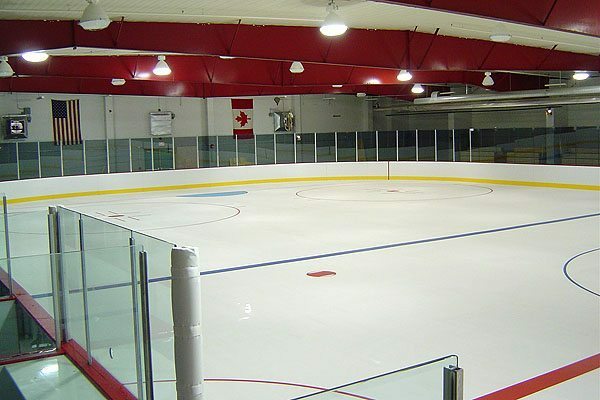 These systems are designed to accommodate a smaller space and can be used for both private and public applications. A standard board system with an upper chain link enclosure, makes it ideal for both recreational skating and training with a puck. For more information about these and other PMI products, please contact us today!